You have to know where Sycharth is before you have a hope of finding it. There are more sources pointing the way to Avalon than to here. 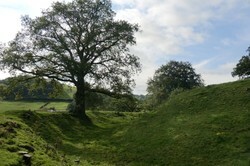 The 13th century site should be the most visited place in Wales. Instead, it's hidden up a trackway, without signposts and nothing to suggest that it is even close by. It's not even mentioned on a road atlas. But it is beautiful! The view alone is awe-inspiring; but the place itself is magical. History was made here; and the past still guards its treasures well. Taking the journey alone, on Dydd Owain Glyndŵr (Owain Glyndŵr Day), I had no-one to trace the country lanes on a map for me. The track leading into Sycharth is narrow and utterly overgrown. As I slowly drove up it, a walker had to press herself right into the hedgerow to allow me to pass. I waved, she waved, I drove on. I briefly considered asking her if I was even in the right place. The road appeared suspiciously like the route into a farmyard, twisting and winding through the countryside, hemmed in with tall brambles and hawthorn. I'd been there before. Wales is full of them. You drive a mile or two to find yourself turning around slowly in a farmer's yard, while a sheep-dog barks out its warnings. But no, there was finally a sign-post up ahead. Its pole lost in the mess of nettles, blackberries and dock leaves. They had nearly overtaken the metal notice. That wasn't telling me much, just a name and an indication that I may park. To the unknowing traveler, it might not even seem like public access. 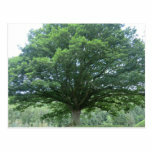 What is Sycharth? A local office block? Someone's private home? But I knew what Sycharth was. I know what it is. I turned up the track with a huge sigh of relief. I'd finally found it. Even having memorized this map, it can be difficult to find Owain Glyndŵr's home immediately. But it's worth the visit. Good luck! It can be hard work finding Sycharth. It's not mentioned on either of my British road atlases. Even my Welsh mile-per-inch street map doesn't list it at all. Try typing it into Google Maps and you'll be directed to a bed and breakfast in Corwen. It's difficult not to give a nod towards the Welsh nationalists, who claim that Westminster is still trying to wipe the place off the map. Henry V did the work on the ground, burning the house down to its foundations 600 years ago. Now even the location is being quietly faded from view. Take the A483 between Oswestry and Welshpool. Just south of Sweeney, turn at the White Lion pub towards Llansantffraid. Follow the A495 without veering off. This turns into the B4396, but only if you keep going straight. (The road forks with a noticeable left turn, which continues the A495. Disdain it! It's not the right way!) Follow the signs for Llanrhaeadr. If you're really struggling with the Welsh here, just go for Bala all the way. You won't get too lost. Keep following that road until you see a white house on the left hand side. Get ready to turn shortly afterwards. Turn right when you see a little sign pointing toward Llansilin. This really is hard to spot, as it's buried in a hedgerow. It was slightly more noticeable when Google Streetview drove through. NB You are still in England right now. 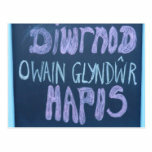 If you pass a Croeso i Gymru (Welcome to Wales) sign, you have gone too far. If you arrive in Pen-y-Bont, you need to turn around. Take the left-hand road, still towards Llansilin, when the road forks. Drive very carefully, as the road narrows into the width of a car. Look out for the Sycharth parking sign and turn right into the car park. And enjoy probably the most historically important place in Wales. 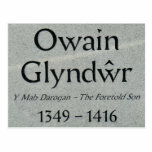 You have arrived at the home of Owain Glyndŵr. There is a shameful lack of public information about the great man at his home. Halfway up the trackway, you will pass without ceremony into Wales. The road is too small for a huge sign welcoming you. The main road, from which you turned into the access route, is in England. Therefore it's hardly surprising that there's a woeful lack of signposting there. 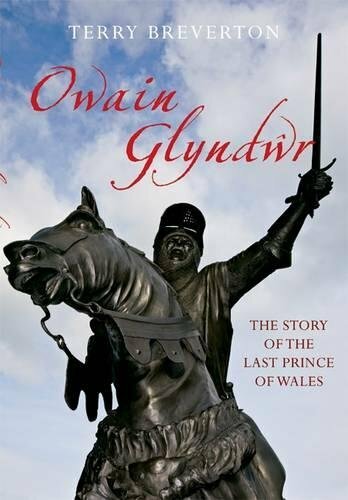 Owain Glyndŵr humiliated the English 600 years ago. He led a revolution, which saw Wales finally free of the English crown. He's the Welsh counterpart of George Washington or Mahatma Gandhi in that regard; though William Wallace, Robert the Bruce or the Irish heroes of the Easter Rising might be a better link. He's not then someone whom the English wish to honor, unless in parody form, as Shakespeare's Owen Glendower. But the site itself is in Wales. It was here that I expected to find the great fanfare, particularly since it's owned now by CADW. That is the heritage and history arm of the Welsh Assembly. A department which, for so many different reasons, should be shouting about Owain Glyndŵr from the mountaintops. It was a little depressing to see what they had come up with. These are the only information boards at Sycharth. Try to learn about the significance of the place from these. 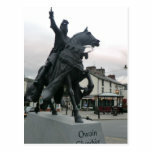 Sycharth was the home of Owain Glyndŵr. His generous treatment of poets and bards ensured the hall, moat, orchards and woodlands were immortalised in verse and song. He shared his family home with his wife Margaret Hanmer and their eleven children. Sycharth must have seemed a haven of peace and prosperity, yet by 1405 it had become a burnt-out shell at the hands of Prince Harry (the future Henry V). I admit that my jaw dropped. I re-read it several times, just to ensure that I wasn't missing something. It's the slimiest piece of selective insertion of propaganda that I've ever read about him! And it's there! At Sycharth itself, in Welsh hands, owned by CADW! I'd been warned in advance that there was scant information available on site. I hadn't been told that what was there amassed into an insult. Nothing is false there. It's all true. 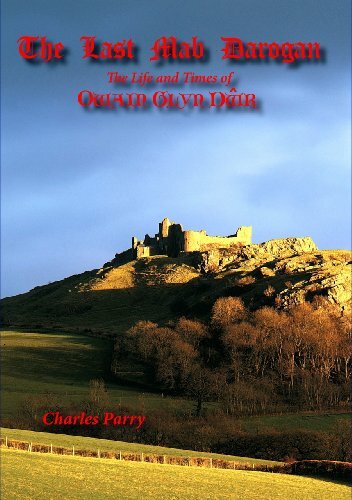 This was the home of Owain Glyndŵr, and he famously was a patron of bards. We owe much of our knowledge about what Sycharth looked like in its heyday, because Iolo Goch regularly stayed there and wrote verses about what he could see. But was that all that Owain did? Is that why he became legendary? Because he enjoyed listening to a good harp-strung epic after a hard day's being peaceful and prosperous? Yes, he did marry Margaret Hanmer. Though her name has been rendered here in English. In Welsh she was Marred ferch Dafydd, yet not even the Welsh language version says that. Sycharth was a haven of peace and prosperity up to a point. The family were surrounded by English nobility, which meant a degree of diplomacy. Their house was built out of wood, while the English ones were stone. That wasn't for want of cash. The Welsh were supposed to be subordinate, so the wooden structures didn't provoke the English lords. Owain Glyndŵr would have lived with that rankling on a daily basis. Then the final part just left me breathless. An English prince destroyed Sycharth. It's written in the most friendly of terms. We're given Henry's pet name of Harry. We're reminded that he was Henry V of Shakespearian play fame. We are not given the reason. You have to know why you're at Sycharth, because nothing there will leave you any the wiser. Buy and read these books to learn why I was so angry at that information board. 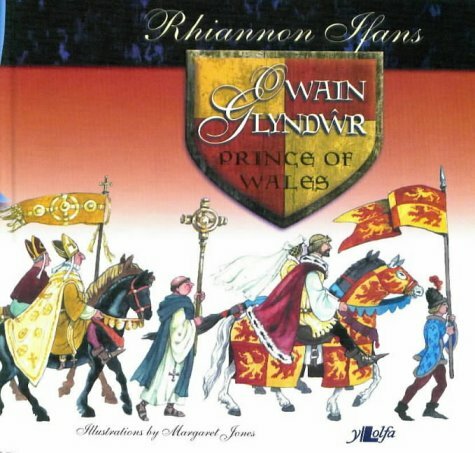 Discover the reality of the greatest hero in Welsh history. Just a few things to note before you travel there. There is a car-park, which will take perhaps a dozen vehicles; plus the aforementioned 'information' boards. There are no restrooms; no cafes or refreshment booths; no tap for water; no museum; no activity center; no little gift shop; and no vendors of any shape, sort or form. You're not supposed to linger nor find out anything. You do have a choice of two entrances. The first is a stile leading from the car-park. It takes you straight into a field, which was home to a herd of cows on September 16th 2012. I spent that part of Owain Glyndŵr Day stepping over cow pats to reach his front door. The ground here is bumpy and irregular. Those with mobility issues would struggle. The other route is downhill slightly from the car-park, up the driveway to a nearby farm. Another stile awaits at the top, leading directly into Sycharth. The artist's representation of how it looked in 1400 is repeated there. Again those with mobility issues will have problems with both the stile and the ground on the other side of it. On the bright side, it's free to park and get in. On the even brighter side, it's Sycharth! Image: Sycharth from the farmhouse. History really will come to life as you wander over Owain Glyndŵr's home. Even if this site had nothing to do with the man who liberated Wales, it would be worth visiting. The buildings themselves were burned to the ground in 1405, but you can see precisely where they were. The ditches and terraces are still there. In its hey-day it would have been a substantial stronghold. It commands a glorious view of the surrounding valleys even now. 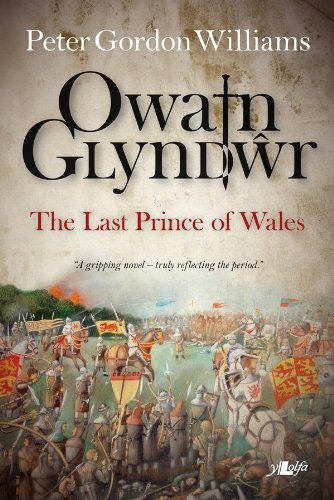 Back then, Owain Glyndŵr would have been able to see people come when they were hours away. Sycharth had two rings of moats. One looped in a semi-circle around the attendant houses and stores. The other completely surrounded the inner mound, where his own house stood. Access was across a wooden bridge. 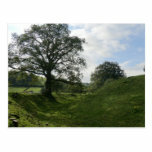 The motte and bailey are both intact, as are the surrounding lanes and entrances. It might take a bit of imagination to cull them from the grass, but they're there. You can see where the ground once molded around them. 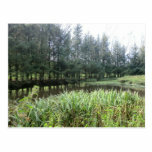 Down below, one of the two fishponds has survived. It's thriving even today with wildlife and tall reeds. The other is evident, but as a dried out patch of darkened ground. Glyndŵr's hunting forest still rises on the slopes above. I had a magical moment, when a wind whipped up from nowhere and a susurrant hush passed through that blanket of trees. In terms of sheer beauty, go there. The views alone will make it worth it, while the castle foundations are spectacular. Just ensure that you know your history first, so you can place it all into context. That will make it very special indeed. I actually had Ian Skidmore's book on me, as I meandered around Sycharth. I took it so I could read Iolo Goch's poetic description of the place, while I was there. These are two that I wrote for Suite. There will be a history written here at Wizzley coming right up. 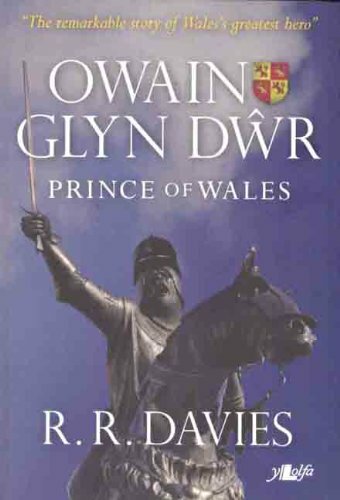 On September 16th 1400, Owain Glyndwr was crowned Prince of Wales; he led the Welsh into independence from English rule. Should more be done in his memory? Battlefield! What Caused the Battle of Shrewsbury in 1403? 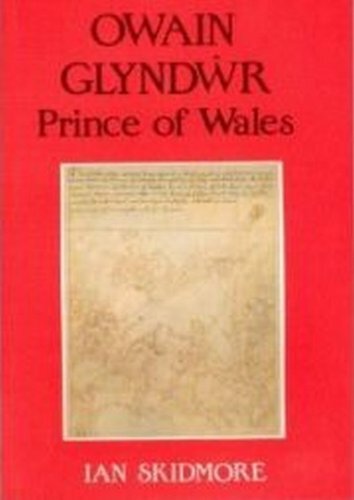 Hotspur negotiated with Glyndwr to bring the experienced Welsh army to fight alongside them, as the Cheshire men were largely untrained. It was an attractive prospect for Glyndwr, as Shrewsbury was pro-Welsh, and could easily become part of Wales under these terms. The men of that town would answer Glyndwr's rallying call, despite Shrewsbury being in England. Even today, as far east as Wolverhampton, you can still see the underlying Welsh heritage. There's still a Welsh speaking chapel in Wolverhampton city centre and much of the placenames (like Penn) are Welsh. No, it wouldn't have taken much at all, especially in Shrewsbury and to the West. While Shrewsbury was in England, much of England west of the Severn spoke Welsh until the eighteenth century. The whole area was part of Powys absorbed into Mercia in Saxon times. It would not have taken much for it to reabsorb into Wales. That sounds ominous. What did greed do to destroy the history of Wrexham? And surely you'd want the boards at Sycharth to tell the real story, not some Anglicized crap. I'm glad it's been left alone in "utter neglect"as you called it. I'm from Wrexham and we now only have the Church as a historical point, everything else has gone, due to greed.fly your Prince Of Wales banners on the 16th of Setember with pride. And bin the Feathers as they're not even Welsh. I'm from Wrexham and we now only have the Church as a historical point, everthing else has gone, due to greed.fly your Prince Of Wales banners on the 16th of Setember with pride. And bin the Feathers asthey're not even Welsh. It was a very beautiful (and historic) place to visit. I'm so glad that I knew my history before I arrived. I certainly recommend coming to Wales. It's a great country. That place looks so peaceful and beautiful. I have never been to Wales and know I will indeed be there one day. My heart has been drawn there since I was a young child. I am so happy that you made the trip and thank you for sharing it with your readers. Sadly history is harshly censored there as well as in America. I can so see that! I'm not going to be able to see it again without thinking it. Oh wow..this reminds me so much of the Shire from LOTR. Absolutely stunning. You come to me then. I might be utterly biased towards the Celts, but I will help you make sense of history. The trick is to realize that the winners write what's put into our history books, and they can be as selective as they like. Going back to the source is the only way to find out what really happened, and then there might still be opinions and biases coming into play. Incidentally, the artist's representation of Sycharth is wrong. The bridge is in the wrong place. I spotted that by actually wandering over there and looking for myself.